Career Areas—find your STRENGTH, place and a BRIGHTER FUTURE at Eversource. Eversource is always looking for employees who share the values that help make us one of the leading energy delivery companies in the country. We serve more than 3.6 million electric and natural gas customers in Connecticut, Massachusetts and New Hampshire. Our team of about 8,000 dedicated, diverse and engaged employees are passionate about safely delivering superior customer service and we are committed to our communities, the environment and each other. You’ll have a variety of opportunities to further your career. We have a great working environment, excellent compensation and benefit programs, and opportunities for growth. Individual will work on energized and de-energized lines and equipment, at all voltage levels, utilizing approved work methods, equipment, and tools in accordance with current training levels. Responsibilities include: identifying and isolating faulted primary and secondary equipment; operating switching devices on overhead and URD systems and work with Field Electricians on overhead and underground systems; clearing faulty and unsafe conditions including maintaining or restoring electrical service; connecting, disconnecting and operating portable transformers, generators, and temporary primary jumpers to restore service under emergency or urgent conditions and working with the Substation group to connect mobile substations; replacing failed transformers with assistance of another qualified person; replacing damaged or faulty services during the initial response or as a follow up corrective maintenance after a temporary repair has been made; repairing and re-energizing primary; performing street light installation and repair; installing and removing protective covers; performing overhead and underground inspections and patrols and performing additional security, perimeter and emergency inspections of substations as necessary; making current and voltage measurements as required; directing the work of other lineworkers assigned or necessary to assist with emergency conditions; applying standards, operating procedures, services requirements, and safe operating practices relating to the work without reference to notes on work of a recurring nature; operating and adjusting overhead and pad-mounted controlled equipment; and submitting required records and reports associated with trouble, line patrols and equipment inspections as required. The ultimate rate for this position is $47.98 per hour. Familiarity with line crew work gained through a total of at least four years line related experience and obtaining a Lineworker I classification or the equivalent is required. Individual must have mechanical aptitude, a thorough knowledge of the electric transmission and distribution system, be analytical, alert, resourceful, and a work history that demonstrates safe work habits. The ability to climb is required. Must obtain and maintain a New Hampshire High/Medium Voltage license. A valid Commercial Driver’s License (CDL) Class B rating is required. Must also have the ability to obtain a CDL Class A rating with an “O” endorsement within six months of hire. The working hours for these positions will be 3:00 p.m. – 11:00 p.m., Monday through Friday. Job Categories: Featured. Job Types: Full-Time. 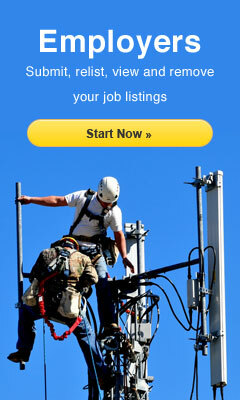 Job Tags: distribution lineman, journeryman lineman, Lineman, lineman jobs, powerlineman, and powerlineman jobs.